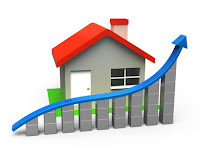 Guwahati, May 11 : The countrywide boom in the real estate sector is now visible in the northeast, especially in Assam, which has fast emerged as an investment hotspot. Assam is a growing hub for trade and commerce in the Northeast. And, this has opened up new vistas for the real estate industry. Shopping malls, showrooms, apartments and hotels - the new face of city has made it one of the most happening places in the country. And to tap the potential - real estate developers are venturing in. In recent years, the demand for both residential and commercial complexes is on the rise. Recently, a three-day realty expo was also held in Maniram Dewan Trade Centre in Guwahati. Organised by AREIDA, it aimed at bringing real estate leaders and customers under one roof. Many multinational companies also participated in the expo. "We have our own service, showroom here in Guwahati. Now we are concentrating on the entire Northeast because northeast is one of the fast growing market in India and buying products is very good. We already sold many products because this is the most developing area and expecting more good number in future," said Parag Miraz, a participant. The decline of insurgency has triggered economic growth in the Northeast. One of the sectors to benefit from this - is the real estate.